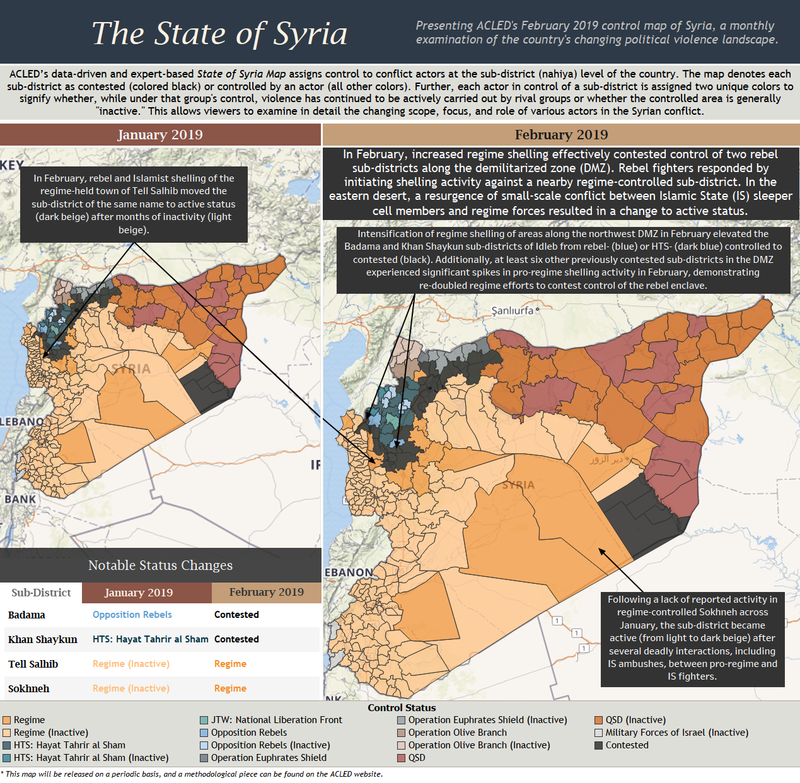 ACLED Assistant Syria Research Manager Stephanie Anderson, Researcher Nick Grinstead, Senior Syria Researcher Kars de Bruijne, and Syria Research Manager Muaz A. map last month’s developments across the Syrian conflict in the February 2019 edition of the State of Syria infographic. Past editions and further analysis of the Syrian conflict can be found here. For an explanation of ACLED’s methodology for mapping territorial control in Syria, click here. Stephanie Anderson assists in the management of ACLED's Syria project and oversees the desk's analysis program. She holds an M.A. 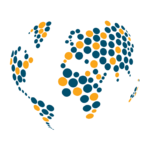 in Development Studies with a concentration on conflict, peace, and development issues and a geographic specialization in the Middle East and North Africa. Her current work focuses on civilian impact and agency in the Syrian conflict, with her prior research focusing on the role of civilian governance actors in rebel-held areas of Syria. Nick Grinstead is a researcher focusing on the political economy of conflict-affected and fragile countries in the Levant. He applies his years of regional experience to his analytical rigor with an eye toward identifying under-looked trends in conflicts. Nick is also developing an understanding of conflicts in sub-Saharan Africa, where he is currently based. Kars de Bruijne is a Senior Researcher at ACLED. He manages the Syria project and its nine researchers and conducts research on the quality of the data. Mr. de Bruijne holds a PhD (University of Groningen) in the field of Civil War carrying out fieldwork with leading commanders and vanguards of the Revolutionary United Front in Sierra Leone. He also works as a research fellow at the Clingendael Institute (the Hague) and previously worked as a researcher for the OECD, DFID/Welcome Trust, CESS and as a lecturer at the University of Groningen. He is based in the Hague, Netherlands. Muaz A. is a Syrian researcher with experience in providing security analysis to non-profit organizations implementing projects in Syria. With a civil engineering background, his research focuses on reconstruction efforts in the transitional phase in Syria.